Joplin, Mo. 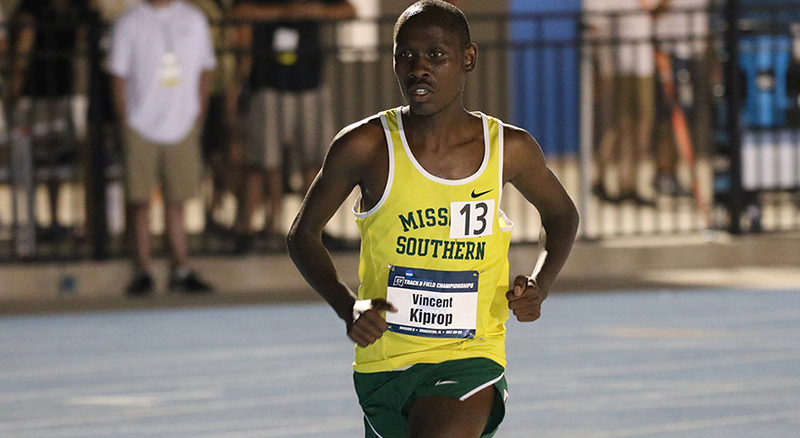 — Missouri Southern sophomore distance runner Vincent Kiprop has been named the United States Track and Field and Cross Country Coaches Association National Track Athlete of the Week, the organization announced today. Kiprop was also named the MIAA Athlete of the Week. At Nebraska,Kiprop shattered the previous MSSU 5k record by 15 seconds as the sophomore won the event by more than a minute in a time of 13:53.94. The time is an NCAA automatic qualifying mark and is tops in Division II by nine seconds. Kiprop’s time makes him the 7th-best performer in the event in NCAA Division II history. Kiprop and the Lions will be back in action this weekend as Southern plays host to the 2017 MIAA Indoor Track and Field Championships.